Nevermind, thank you if you read it. Have you tried a product made by 'growing success' called quite simply 'Cat Repellent'? Its around £5 from Morrisons and all good diy stores,its a grey granulated powder and stinks to high heaven of garlic! Its the only thing ive used in my garden that works!! Have you thought about investing in one of these ? they are multi functional, they will keep the cats of your garden, taking them for a walk will keep you fit, they are the best intruder alarm money can buy, but most of all they will be the best friend you could ever have. Believe me I speak from experience. Sorry about your cat problem, being an avid gardener I feel your pain. I have a large variety of birds in my garden so I dread to see a cat around. Cayenne pepper/paprika sprinkled rather profusely in my flower beds seems to work for me. It might seem expensive but sprinkling just a few times seems to work. I am a dog person so the picture of Rospaul's beautiful dog rang a bell with me. It would work very well as a cat deterrent. 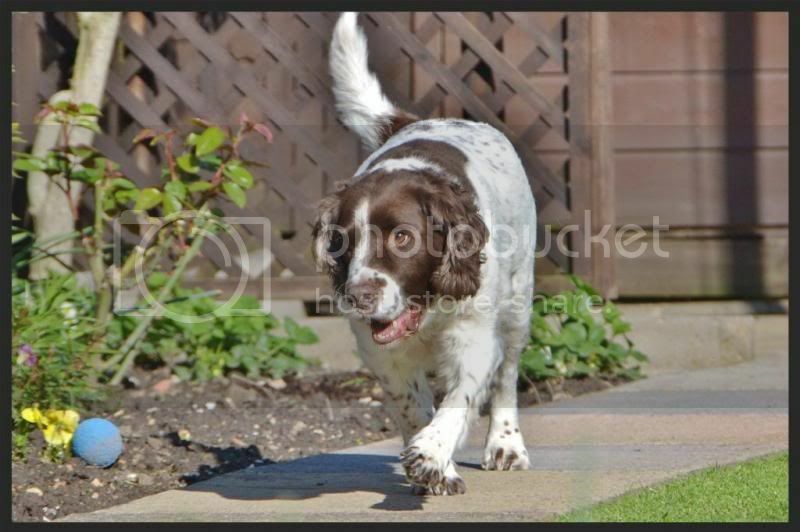 My dog is a Field Spaniel and if she chased a cat I might never see her again! Hope you solve the cat problem, Vernydev. Hi, and thank you all for your replies,, I am using at the moment a product bought at B&Q as I tried most of the things before (apart from a dog ) , and it's seems to work so far( cross fingers )...... the thing is i read the composition of the product .. and as far as i can remember limonene is a component of ... the lemon grass... if it keeps going i might plant some real ones haha. Im sorry to hear about the problems you have all been having with Cats on youre gardens. Being an avid Cat lover, It disheartens me to hear of some of the suggestions you are coming up with. I wouldnt want anybody aiming a Uzi 9mm at my little Gash! My little Gash is ginger, and has one eye. I do hope some of the more cruel suggestions were made with tounge in cheek humour, because i wouldnt want anyone hurting my little Gash.